Since the Vietnam War ended, thousands of Vietnam veterans have died each year due to Agent Orange exposure, PTSD/suicide, cancer and other causes related to their service. 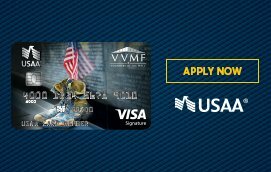 The Vietnam Veterans Memorial Fund’s (VVMF) In Memory program honors those who returned home from Vietnam and later died, but are not eligible for inscription on The Wall under Department of Defense guidelines. Every year, VVMF hosts an In Memory Ceremony where new honorees are inducted into the program and their names are read aloud on the East Knoll of the Vietnam Veterans Memorial. VVMF is pleased to announce that it will honor 535 Vietnam veterans whose lives were cut short as a result of their service at the 2019 In Memory Ceremony. To see the names of the 2019 honorees, click here. “There are more than 58,000 names on the Vietnam Veterans Memorial; names of men and women who died on the battlefield of the Vietnam War. Those men and women are honored on a daily basis by everyone who sees The Wall. There are many thousands more who died as a result of the Vietnam War, but their deaths do not fit the Department of Defense criteria for inclusion on The Wall. VVMF’s In Memory program honors those veterans, many of whom came home to fight a whole new battle and never fully recovered either physically or emotionally. It is our duty to make sure their sacrifice is never forgotten,” said Jim Knotts, president and CEO of VVMF. VVMF will host the 2019 In Memory ceremony on June 15th beginning at 10 a.m. on the East Knoll of the Vietnam Veterans Memorial. More than 2,000 family and friends are expected in attendance. The master of ceremonies will be Capt. Denis Faherty, USN (Ret.). The keynote speaker for the day will be Jim Knotts. In Memory was created in 1993 by the group - Friends of the Vietnam Veterans Memorial. VVMF began managing the program and hosting the ceremony in 1999. More than 3,600 veterans have been added to the In Memory Honor Roll since the program began. To see all the previous honorees, please visit: www.vvmf.org/honor-roll. The plaque on the grounds of the Vietnam Veterans Memorial site in Washington, D.C. that honors these veterans was dedicated in 2004 and reads: In Memory of the men and women who served in the Vietnam War and later died as a result of their service. We honor and remember their sacrifice. The In Memory program is made possible by the generous contributions of VVMF supporters. For more information on the In Memory program, including how to apply to have a loved one honored in 2020 - or to learn more about the veterans who are part of the In Memory Honor Roll, please visit: http://www.vvmf.org/inmemory.